When the 2015 summer reading challenge started, I decided my first book should be the one for the category “Read a book with more than 500 pages” (thanks for that, Kristen) to make sure I actually had time to get through it! The Wind-up Bird Chronicle had been sitting on my shelf for months and has 606 full pages (plus one paragraph on page 607). This category is worth 25 points. The plot: Toru Okada’s cat has disappeared, which has unsettled his wife so much that she insists he go out looking for it every day. Meanwhile, his wife is herself becoming more and more distant. On the search for the cat (and his wife), Okada gets involved with a succession of increasingly bizarre characters, each with a tale to tell, and finds himself on a journey that he never really seems to understand. My review: This book has so many high ratings on Goodreads that I can’t help but feel like I’m missing something! I didn’t hate the book (as evidenced by the fact that I managed to get all to the end), but I mostly found it bizarre and confusing. Most of the characters’ actions make no sense and while all the individual stories do eventually kind of come together, I still felt like things weren’t fully explained. I’m sure there’s some deep, philosophical meaning that I’m missing, but oh well – I don’t mind being an idiot! 3 stars. I’ve read two more books for the challenge since I finished this one, so look out for more reviews soon. And if you want to join in with the challenge, you can find more information here on Megan’s blog. Any book you’ve read since 1st May that fits into a category can be counted and the first check in is on 1st June. Good luck! I really don’t get Murakami books. I read Sputnik Sweetheart and loved the first part, then it just went WEIRD. I heard his latest one isn’t as crazy as his other stuff, so it’s on my to-do list. Oh good, that makes me feel less uncultured! 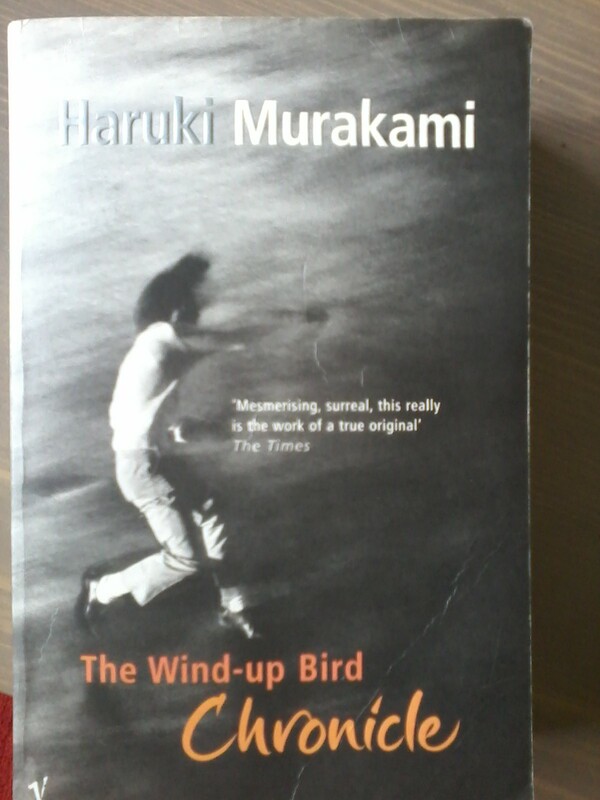 I adore Murakami, though so far I have only read Kafka on the Shore. But I read/obsess over a lot of magical realism and it might just be that it is a genre that speaks to my brain and not to yours. I don’t think you should feel uncultured for not really getting into it!